The last eruption of the Fogo volcano, in the Cape Verde Archipelago, occurred in 2014–2015. A mineralogical and chemical study was undertaken on fumarole incrustations resulting from this event and compared with results obtained from the previous 1995 eruption. The mineralogical constitution of the fumarole deposits was assessed by X-ray diffraction and the chemical characterization was performed through X-ray fluorescence spectrometry with a wavelength dispersive system and by energy dispersive X-ray fluorescence at the European Synchrotron Radiation Facility. The most common compounds/minerals in solid deposits were sulfur, sodium chloride, and calcium sulphates with variable degrees of hydration, sodium sulphate, hydrated sulphates of sodium aluminum, potassium magnesium, or sodium magnesium and a fluorine-bearing mineral. Thenardite (Na2SO4) and its polymorph (phase III) were found simultaneously for the first time in incrustations, to the best of our knowledge. A large span of minor and trace elements present in incrustations (Na, Mg, Al, Si, P, S, Cl, K, Ca, Ti, V, Mn, Fe, Ni, Cu, Zn, As, Se, Br, Rb, Sr, Y, Zr, Nb, Mo, Ba, Ce, Tl, Pb) were also identified, some of them potentially hazardous to animal and human health. 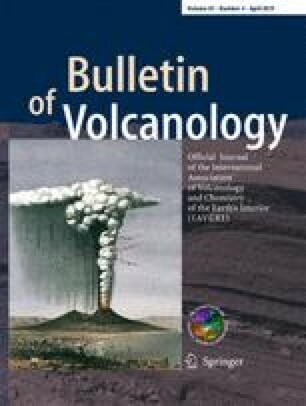 This study reveals that low temperature incrustations, allied to the atmospheric conditions of Fogo volcano, constitute a natural laboratory to observe the process of mineral formation—namely the Na2SO4 phase III considered metastable. This research received financial support from FCT (Fundação para a Ciência e Tecnologia) through project FIRE (PTDC/GEO-GEO/1123/2014). We acknowledge the European Synchrotron Radiation Facility for provision of synchrotron radiation facilities and in particular in using beamline BM 25A. Special thanks are due to the guides Manuel Montrond Fernandes (Izaquiel) and Edimar Montrond that helped us in the Fogo volcano. J.P. Veiga acknowledges funding by FEDER funds through the COMPETE 2020 Programme and National Funds through FCT-Portuguese Foundation for Science and Technology under the project UID/CTM/50025/2013 and the funding from the European Union Horizon 2020 research and innovation programme H2020-DRS-2015 GA nr. 700395 (HERACLES project). Carla Candeias would also like to acknowledge FCT by the grant SFRH/BPD/99636/2014 and UID/GEO/04035/2013. Special thanks are also due to Dr. Tonči Balić-Žunić, an anonymous reviewer and to the editors for their comments on the manuscript. We are also grateful to Dr. Lídia Quental for the satellite image of Fogo Island.